Rita Hoffman Humphreys has a birthday today. Rita Hoffman Humphreys posted a message. Hot day in Osoyoos, BC. Holiday with our children and grandchildren. Rita Hoffman Humphreys added a comment on her Profile. 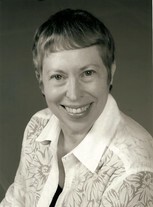 Rita Hoffman Humphreys added a comment on Kihm Winship's Profile. Rita Hoffman Humphreys added a photo to her profile gallery. Rita Hoffman Humphreys updated her profile. View. Rita Hoffman Humphreys changed her profile picture.